Kasandra Flamenco is thrilled to present La Tarara, an adrenalin infused Flamenco dance spectacular featuring dance super stars direct from Spain, Ivan Vargas and Emilio Ochando, with Vancouver virtuoso, Kasandra “La China,” and international musical cast directed by Gaspar Rodriguez. May 4 and 5 at the Norman Rothstein Theatre at 8pm in Vancouver. La Tarara offers Vancouver audiences an extraordinary opportunity to experience a unique dialogue between two of Spain’s most renowned Flamenco dancers, each representing a distinct element of the origins of Spanish Flamenco. Ivan Vargas, of Roma bloodline, was born in the caves of Sacromonte and hails from Granada’s flamenco dynasty “Los Maya”. Ferocious and primal, he evokes the essence of Flamenco Puro - the expression of pure unadulterated emotion, in search of the elusive “duende” where magic ignites as the artists fuel the fire! He collides with six time award winner and dance phenomenon from the Spanish National Ballet, Emilio Ochando, who is classically trained in Spanish Dance. His ability to dance ballet, danza espanola, folk, bolero and flamenco has lead to his incredible style that rests on the cutting edge of flamenco dance aesthetic in Madrid, a potent mix of highly technical and virtuosic mastery blended with elegant contemporary movement. La Tarara is a fiery encounter between flamenco dancers of two very distinct traditions, a meeting between the raw intensity of Flamenco Dance and the refined elegance of Spanish Dance,” explains Kasandra “La China”. This show could only happen at an international artistic crossroads such as Vancouver, because these artists would never even meet in Spain! Audiences will also revel in the rich music of award-winning, international musical director from Malaga, Gaspar Rodriguez, composer of twelve international flamenco productions. Rodriguez is recognized as one of Spain’s most expressive and innovative artists, and many aficionados will recognize him as the musical director of Nuevo Ballet Espanol. The voice of powerhouse Flamenco singer Vicente Griego “El Cartucho” resonates the production along with the sonorous tones of cellist “La Sirena”, and rhythmic groove of flamenco cajon by Italian percussionist, Davide Sampaolo. 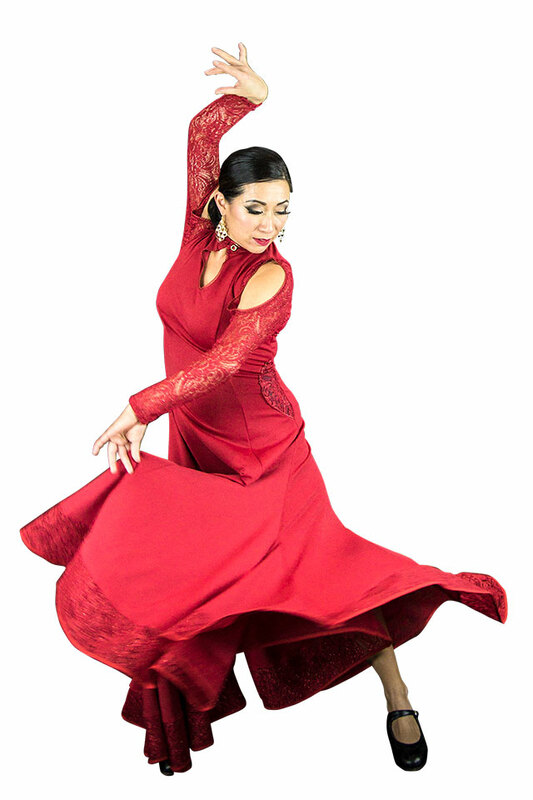 Kasandra “La China” is one of Canada’s leading flamenco artists renowned for her unrelenting drive to push the artistic envelope. Kasandra is always hungry for new sources of inspiration and knowledge, constantly pushing her musical and choreographic mastery to its limits. She elicits combustible chemistry among artists and has forged collaborations with national and international flamenco artists to critical acclaim. Tickets and more info: www.kasandraflamenco.com.